For eleven nights in September, Mark Haddon’s award-winning novel, ‘The Curious Incident of the Dog in the Night-Time’, adapted for the stage by Simon Stephens and directed by Marianne Elliott for the National Theatre, comes to Sheffield’s Lyceum Theatre. Royal Scottish Academy of Music and Drama alumni and leading man, Joshua Jenkins, caught up with Beth Maguire to have a chat about the tour so far. Hi Josh, how are you doing and where has the tour taken you recently? I’m not too bad thanks! We were in Bristol last week, Sunderland this week, and we’re in Glasgow next week – it’s a lot of travelling but it’s fantastic. Some of our readers might not be familiar with The Curious Incident of the Dog in the Night-Time – can you give us the gist? The story is about a fifteen year old boy called Christopher who has the most amazing mind and gift for thinking – he’s a genius in the truest sense of the word – but he struggles with everyday social interaction. The story starts where he finds his neighbour’s dog dead in the front garden, so Christopher goes on a wonderful journey to solve the mystery of who killed Wellington the dog. And you play the lead role of Christopher – was it odd initially trying to tap in to the mind of a teenage boy again? Well Christopher is an incredibly complex character so it was an enormous challenge, and not only that, but the book is loved by so many people across the country that I felt a lot of pressure knowing that I had to do it justice. When I found out I got the part, I had about four months before we began rehearsals, so I was very lucky to be able to do as much preparation as I could to jump in head first. The show is quite unique in that there is a lot of physical theatre – how does that help to progress the narrative? Well as the book is told through the eyes of Christopher, you’re faced with a sense of how overwhelming and confusing he finds the world, but it can difficult to make that theatrically interesting using words alone so we use music, projections, lighting, and really excellently choreographed physical theatre. The physical sections show Christopher’s wild imagination and anything he finds scary, confusing or uncomfortable, so it allows the audience to really understand his mind and go on the journey with him. What might be a page of dialogue turns into a twenty minute movement section where Christopher goes from Swindon to London, and he’s literally walking up the walls. It’s been quite tough physically but as a company I think we’re all so proud of the production and proud to be a part of this wonderful show. The company could ask us to walk on hot coals and we’d do it! Will you have much free time to explore Sheffield as you’ve never visited before? We’re really lucky when we come here because we’re up for two weeks, which is a bit longer than most places, and we have Sundays and Friday daytime off so we get to explore and have a look around; other than that we’re in the theatre working. I’m really looking forward to Sheffield though as I’ve got a friend who’s working on Romeo and Juliet there around the same time, so I’ve got someone I can go and meet for a drink! 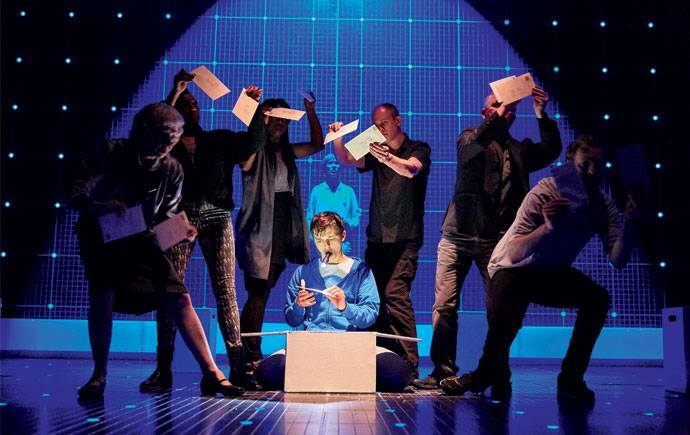 The Curious Incident of the Dog In The Night Time is on at The Lyceum from September 15 –26. 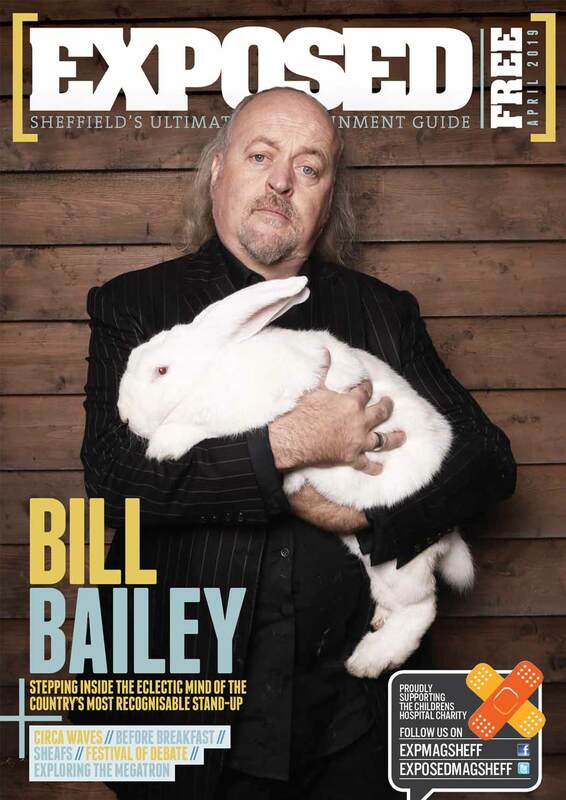 Visit www.sheffieldtheatres.co.uk for more information. Tickets are available from the Box Office of the Crucible Theatre and online at www.atgtickets.com.